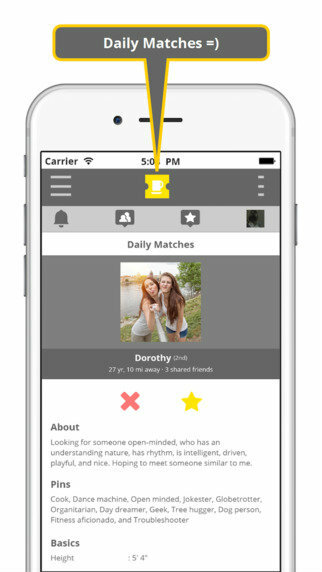 Coffeepass – Who Knew Online Dating Could Be This Friendly? 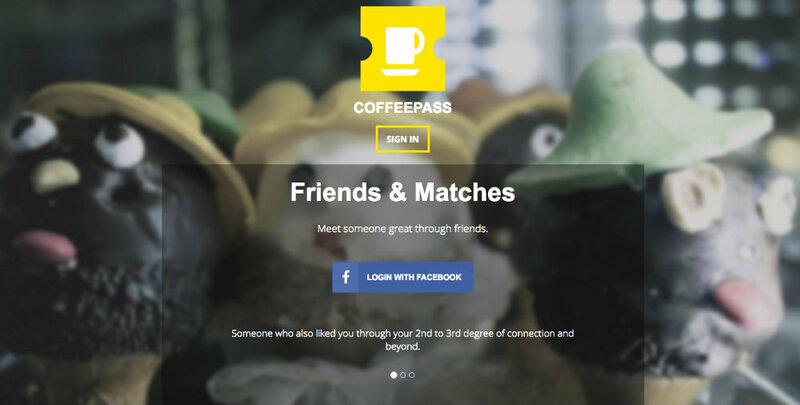 KillerStartups > Startup Reviews > Coffeepass – Who Knew Online Dating Could Be This Friendly? Adrift at sea, atop an ice floe, shivering in the Arctic wind, it would be hard to enjoy the perfect ice cream cone. Yet, the world of online dating whirls along as if context doesn’t matter, as if algorithmic pairing alone is enough to determine the happiness of two people. There’s so much more to building relationships than meeting. Coffeepass is an iOS app that carries the modern dating scene forward by reintroducing civility and social context into the mix. Coffeepass users receive daily match suggestions that are chosen from each person’s extended network of Facebook friends. Matchmaking happens in your 2nd to 3rd degree of connections and beyond. The thinking behind this is that you’re more likely to spark with someone not too far removed from you socially. What’s more, an indirect association helps create a safer and more comfortable environment for meeting. You can ask your friends questions about a potential match or even involve them in arranging a meeting, which avoids the pressures that come when two strangers meet in isolation. One theme of Coffeepass reflects the desire to keep introductions relaxed and simple: “Bring your friends as well. Let’s all go out.” You can’t become romantically involved with everyone, after all, but there’s always room to make new friends. By not excluding friends or non-single users, Coffeepass brings back an effective, old-school way of meeting people – through friends in a social setting. Even if an app does pair you with your perfect mate, no couple lives forever in a relationship bubble. They all pop. Healthy relationships require the perspective and dynamic interaction that others provide. If it’s long-term connections you’re after, either romantic or friendly, you owe it to yourself to try Coffeepass. Dev Melepura, Co-Founder and CEO of Coffeepass, began the company after all of his own experiences with dating apps proved dissatisfying. As an entrepreneur and traveling tech consultant, he had been struggling to maintain a social life and meet some one. He decided a new approach to online dating was needed. A social one. And Coffeepass was born. Are you over meeting up with random people, dealing with the crass comments and behavior that have taken over the online dating scene? If you’re eager for a better way to connect with people, then explore who’s out there among your Facebook friends by downloading the Coffeepass iOS app from the App Store (the Android version will be released soon) or by signing up through the website at coffeepass.com.